As we enter 2018, it’s time to say goodbye to some old SEO habits. These are SEO tactics that just plain don’t work, or even worse, can get a website penalized. Below is a list of the top nine habits that need to be kicked to the curb. With semantic search, we are well past the days where we optimized one page for one keyword. The focus is now on the overall topic for each page, which can help support themes within a website. There is still remnants of the one keyword, one page approach, though, and it often shows up with local pages. Barry Schwartz talked about the issue of “keyword permutations” in December 2017 after an unconfirmed Google update (the Google Maccabees Update). After reviewing websites that people submitted to Schwartz to review, one common issue found was related to local landing pages, such as [city name] + [service A] and then [city name] + [service B]. The additional issue that often comes up with these types of pages is that they provide little value for users. You need to have content that is valuable to your visitors. That means no more boilerplate content! Links. Will we ever get away from them? Before we talk about poor link building habits, it’s important to mention that links still mattertoday. Eric Enge wrote a great article here on Search Engine Journal, Links Are Still Fundamental to Organic Search Rankings – Here’s Proof, about the subject. Links are a public endorsement and reflect that a website has valuable information. Google gives a lot of weight to links as a ranking signal. Where the problems occur, though, is when links are gathered in an unnatural way, such as through link schemes, poor link directories, purchasing links, and other spammy tactics. As we start the new year, these aggressive link building techniques should be abandoned and the focus should be on a link strategy that is more marketing and user-focused. Search Engine Journal Founder Loren Baker gave some great link strategy ideas in a December 2017 SEJ ThinkTank webinar. You can’t have SEO without content. SEO and content are intertwined. You need content to optimize for search. If you don’t optimize your content, searchers won’t find you. So, there is no question that we need content, but there is still a problem. However, having just any content isn’t good enough. The content has to be considered high quality, especially when compared to the competition. Glenn Gabe talked about this issue over the summer after checking out multiple sites following an unconfirmed Google update. After doing countless technical SEO audits, I can confidently tell you that most websites have some type of issue that hurts their search performance. Adding content and attracting links is great. But if your website has underlying technical issues, rankings could still be negatively impacted. Improper redirects (i.e. redirect chains, 302s instead of 301s, non-use of redirects, etc.). Here is a great Search Engine Journal article with more insight on technical SEO: Most Common Technical SEO Mistakes: How Severe Are They? One of the often-overlooked SEO opportunities has to do with images. 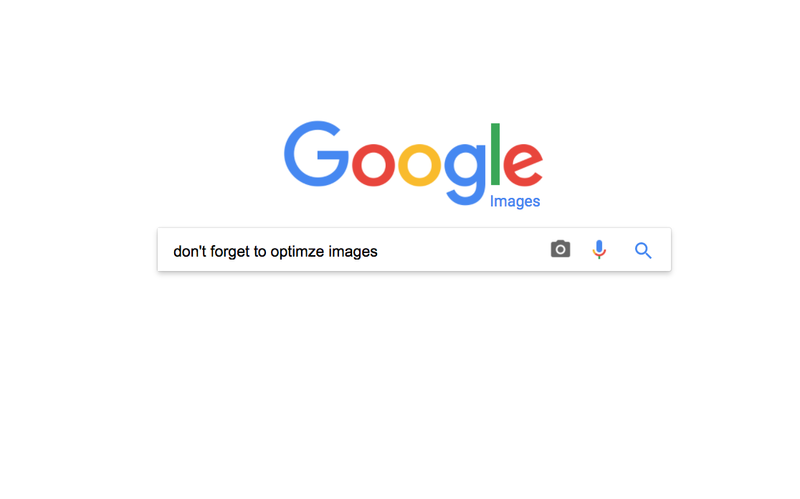 As SEO professionals, we need to take every opportunity to show up in search results, including optimizing for image search. When adding images to your website, don’t forget about the image filename and alt attribute. Instead of an image filename of XYZ123.jpg, consider including a keyword that is descriptive of the image, such as organic-coffee-beans.jpg. As far as the alt attribute, it should not be keyword stuffed, but should be descriptive of the image. If the image is in line with the topic of the page, which it should be, then it would be natural to have a keyword in the description. I’m including this one because not only do I get this question when teaching SEO workshops, but I heard someone recently give the recommendation to link frequently between your websites because it will help you rank. That advice is inaccurate. Linking excessively between your websites with the intent to boost your backlink profile has the potential to hurt you more than it does to help you. It’s an outdated SEO technique. “Good” SEO means you are in the business of earning rankings, not exploiting the search engines. While it’s important to know what Google rewards and focus on those areas, by no means should those areas be exploited. I have heard people make comments that they are implementing techniques that are getting them ranked while flying under Google’s radar. That doesn’t work for long. Usually it’s only a matter of time until a site is hurt by those tactics. For example, after AMP rolled out, some websites started creating teaser pages using AMP technology. These pages would show just a snippet of the content and then direct users to click through to the original page. Google eventually enacted an AMP policy that went after these sites. You can read more here: Google to Go After Sites That Use AMPs as Teaser Pages. Changing article dates to show content freshness is another trick that could come back to bite you. Read more here: Safe or Risky SEO: How Dangerous Is It REALLY to Change Your Article Dates? The fact that you are reading this article likely means you are someone who keeps up with changes in SEO. Failing to stay up-to-date on best practices, algorithm changes, and webmaster guidelines is detrimental to your SEO success. A habit that you should take into 2018 is to spend time weekly (even daily) reading up on the latest in SEO. Read industry blogs, follow experts on Twitter, attend webinars, and go to conferences, so you know what’s going on in search. Here’s to an exciting 2018 in SEO. Cheers!